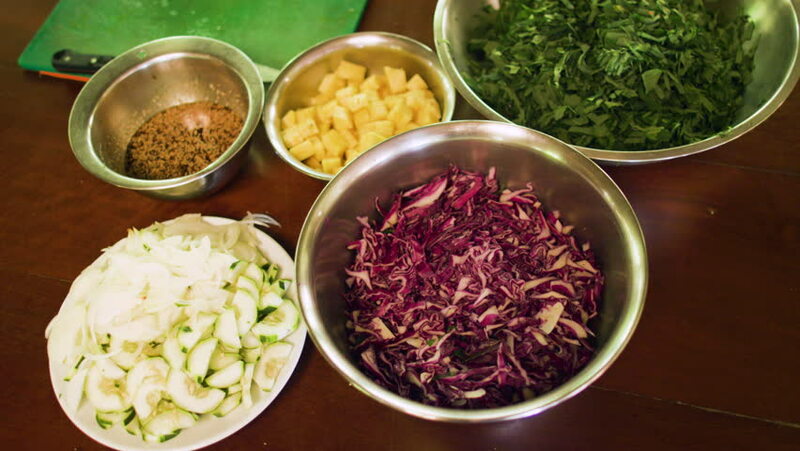 A beautiful cinematic tracking dolly gimbal shot of the ingredients for a mixed salad of local organic greens, cabbage, cucumber, katuk, pineapple, and more. 4k00:11Bowls with spices. Salt and curry. Choose the best seasoning. hd00:19Various herbal tea. Top view. 4k00:21Overhead view of female's hand adding yogurt and compote over cereal in bowl. Various healthy ingredients are on wooden table. She is preparing nutritious breakfast. Shot on RED Camera.